French Riviera Villas France - Great Deals on holidays in the best properties in France. 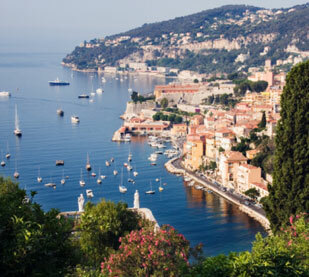 The French Riviera hosts one of the most popular towns 'St Tropez' , situated between Cannes and Marseilles. St Tropez is a favourite destination with the rich and famous, know for its beaches, celebrities and 'gamerous people'. Head a few miles southeast of the town and you'll find sandy beaches like Plage de Tahiti and Plage de Pampelonne. There are plenty of beaches around here that are 'bikini optional' for the open minded of you.. There are also excellent collection of modern art, museums to visit. For the energetic there is cycling, horse riding, hang gliding, paragliding and climbing in the nearby mountains. The rivers are great for canyoning and have some great fishing spots. During the winter months you can ski at two local ski stations at Greolieres-les-Neiges and at Andon-Thorenc. Shopping is a must in this fashion-conscious city. After dark things really wake up in St Tropez. There are several hot spots where the 'in' crowds hang out and the Café de Paris is one of these places.